Whole Wheat. Vegan. 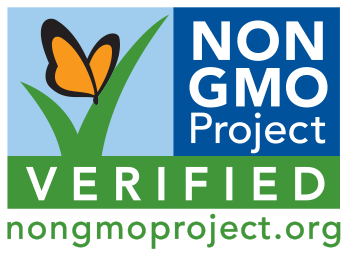 No high fructose corn syrup. 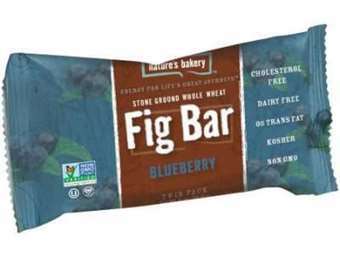 Blueberry fig bar. Blueberry power! If you're hungry or need an energy boost, snack on this to satisfy your craving with well thought out ingredients, and balanced nutrition. A perfect on-the go-snack. Packed with energy without the high fructose corn syrup, artificial colors nor flavors. 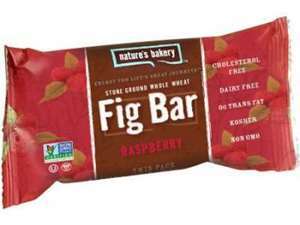 The berry goodness in an energy fig bar. 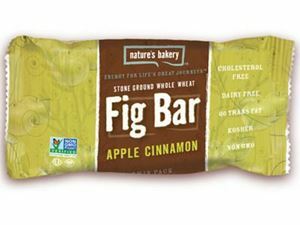 It satisfies, it powers up, a delicious grab-n-go snack for immediate body fuel. Flavorful, moist and soft to bite, not too sweet with just the right chewy texture. Perfect for active individuals, for those who are on a dairy-free, egg-free, vegan diet, or on a weight loss diet since it has reasonable calories. Even a healthy treat for kids to put inside their lunch boxes or an after-school snack. Simply high quality, practical and fun to have. 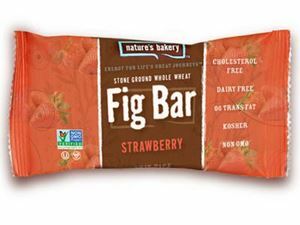 A good harmony of quality ingredients is what makes this soft-baked bar exceptional, good for the health acquired from the real fruit and whole grains. Ingredients: Stone Ground Whole Wheat Flour, Dried Cane Sugar, Fig Paste, Brown Rice Syrup, Blueberry Paste (Dried Cane Sugar, Naturally Milled Sugar, Rice Starch, Glycerin, Blueberries, Apple Powder, Natural Flavor, Pectin, Citric Acid, Locust Bean Gum, Red Cabbage Extract for Color), Canola Oil, Rolled Oats, Glycerin, Cultured Unbleached Whole Wheat Flour, Caramel Color (Ammonia-Free), Oat Fiber, Sea Salt, Baking Soda, Natural Flavor, Citric Acid.